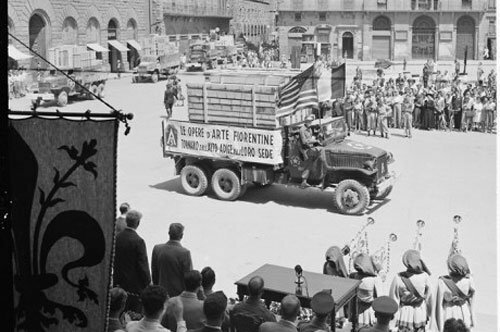 Uffizi Gallery: book your tickets now!  Uffizi Gallery: enjoy your tour with a private guide! 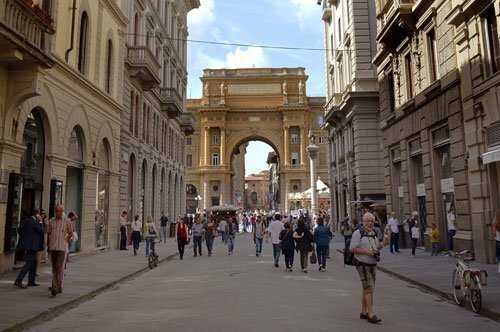 WHY VISIT THE UFFIZI GALLERY? 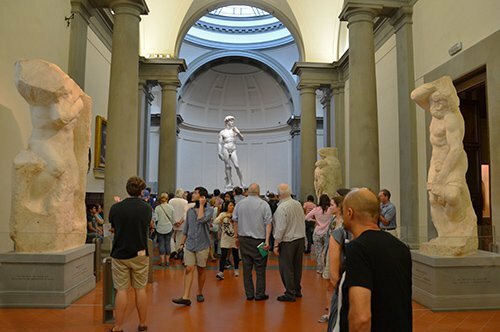 If you do not want to miss one of the most important art galleries in the world, during your stay in Florence you can´t miss a visit to the Uffizi Gallery. 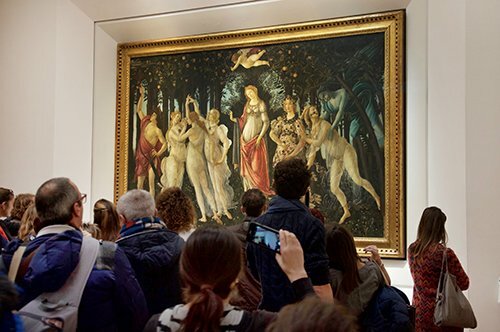 This visit will give you the opportunity to immerse yourself in the artistic spirit that is breathed in Florence and to admire wonderful works known around the world as "The Birth of Venus" and "The Spring" by Botticelli and other famous works by artists such as Giotto, Piero della Francesca, Leonardo Da Vinci, Michelangelo, Raffaello, Titian, Caravaggio and many others. 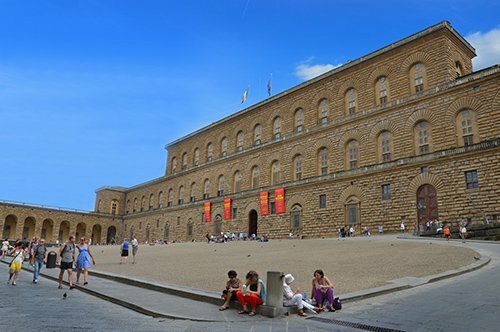 In 1560, the Grand Duke of Tuscany, Cosimo I de Medici, decided to build a new building to house the administrative and judicial offices of the city. 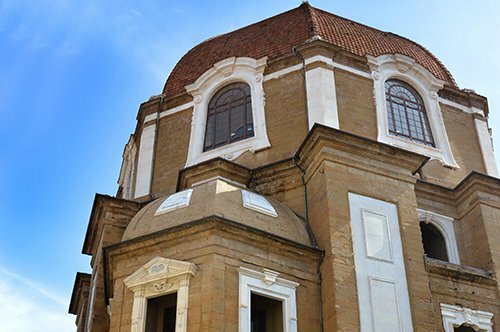 The artist who had the task of designing it was Giorgio Vasari, who conceived a U-shaped building with a porch with Doric columns. After the death of Vasari and Cosimo I, in 1574, the Grand Duke Francesco I de Medici entrusted the direction of the work to Bernardo Buontalenti, who continued with the construction of the Gallery. In 1737, Anna Maria Luisa de Medici, with the famous Pact of the Family, linked the Medici heritage to Florence so that the important collection was not altered. WHAT IS THE UFFIZI GALLERY NOWADAYS? The Uffizi Gallery is one of the most visited museums in the world. It is an art museum that includes around 1,700 paintings, 300 sculptures, tapestries, antique furniture and ceramics that, together, form an immense and unique cultural and artistic heritage in the world. The visit to the Gallery begins with stairs that lead visitors to the second floor and allow entering the heart of the Museum. It is here where the rooms are in chronological order, with a large part of the collection of the Uffizi. Starting with room 2 dedicated to Giotto and the painting of 200 and 300, the three beautiful altarpieces by Giotto, Cimabue and Duccio di Buoninsegna. Continuing the tour, we visited rooms 5 and 6 with the works of the painters of the International Gothic and the Adoration of the Magi by Gentile da Fabriano dating from 1423. Room 7 is dedicated to the first Renaissance. We can admire, in this room, the Battle of San Romano by Paolo Uccello of 1438 and the Madonna col bambino ("Virgin with Child") and Saint Anne (Santa Anna) by Masaccio. Room 8 houses two famous works, Madonna col bambino (Virgin and child) and two angels by Filippo Lippi from 1465, as well as Pieces of the Dukes of Urbino by Piero della Francesca. 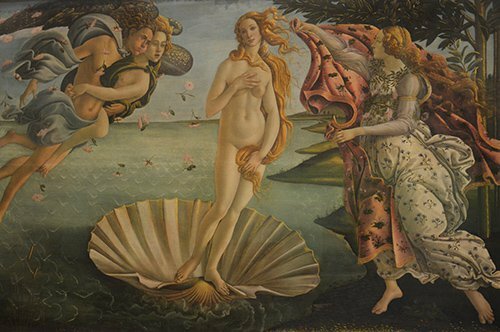 Continuing on, we find the rooms that have contributed to the fame of the Uffizi Gallery throughout the world, in rooms 10-14 the famous masterpieces of The Birth of Venus and The Spring (La Primavera) by Sandro Botticelli, which celebrate the return of ancient pagan beauty to Florence. Room 15 is dedicated to Leonardo da Vinci, here are two of his works, The Baptism of Christ and the Annunciation, both the fruit of a young Leonardo. 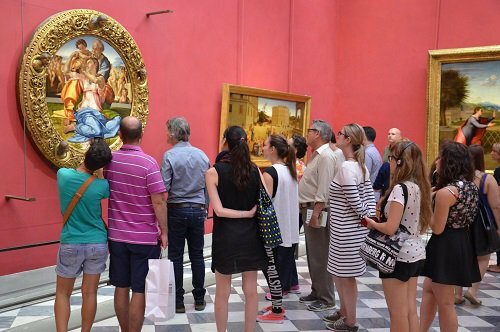 Following the tour, in room 25, we are in front of the beautiful Tondo Doni by Michelangelo and, going down to the first floor, it is possible to admire other important artists of the 1500s like Andrea del Sarto, Bronzino and Raffaello with the splendid Madonna del Cardellino. The visit ends in the room dedicated to Caravaggio, the genius "damn" of the early 1600 with his works the Medusa and the Bacchus. Did you know that the famous Uffizi Gallery was not designed to be a museum? 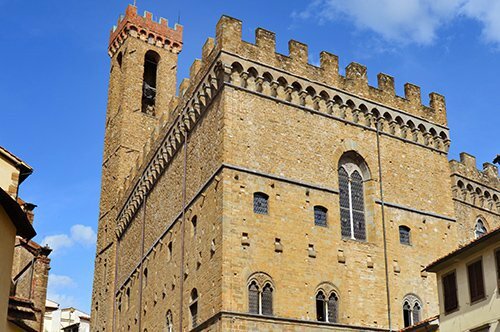 In 1560, this building was designed by Giorgio Vasari to become the new headquarters of the judicial and administrative offices of Florence. 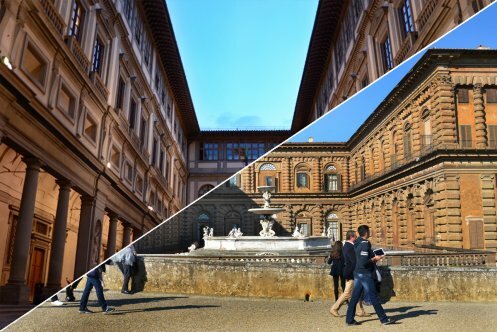 Did you know that there is a corridor designed by Vasari that connects the Old Palace with the Pitti Palace? The Vasari Corridor is a journey of almost a kilometer that begins at the Palazzo Vecchio (Old Palace) in Piazza della Signoria (Signoria Square), passing through some of the most characteristic places of Florence, such as the Uffizi Gallery, the Ponte Vecchio (Old Bridge) and the Boboli Gardens, until reaching the Pitti Palace on the opposite bank of the Arno river. 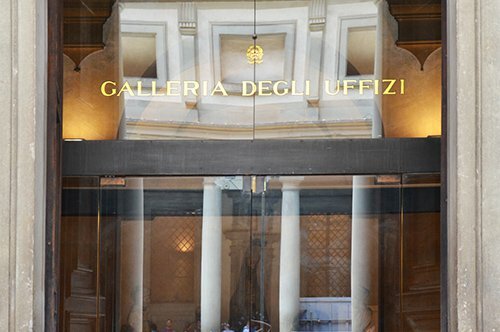 HOW TO VISIT THE UFFIZI GALLERY? 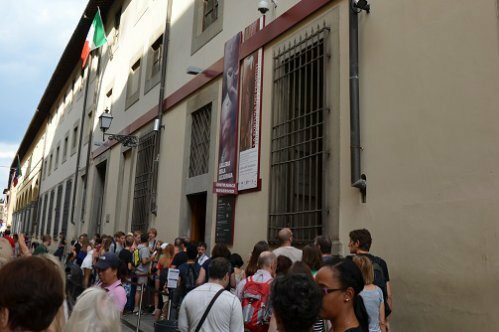 There are several ways to visit the Uffizi Gallery, for example, you can buy the ticket online, reserving the time of entry according to your preferences, therefore avoiding the endless wait at the ticket offices. 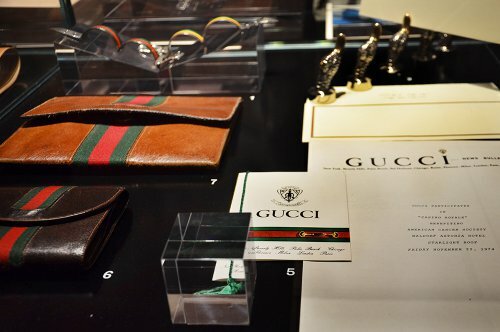 It is also possible to visit the museum as part of a guided tour with a fixed departure, this means with the date and time set by the tour organizer, you can join other tourists and follow the guide's explanations with the help of headphones. 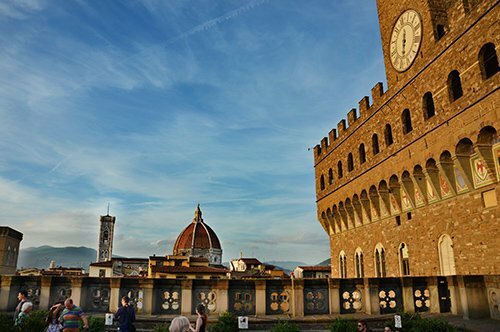 It is possible to combine the visit to the Uffizi Gallery with a visit to other museums, such as the Accademia Gallery or the Palazzo Vecchio (Old Palace), or a walking tour of the historic center of Florence. An alternative to a visit with a fixed departure is a visit with a private guide, dedicated exclusively to you. 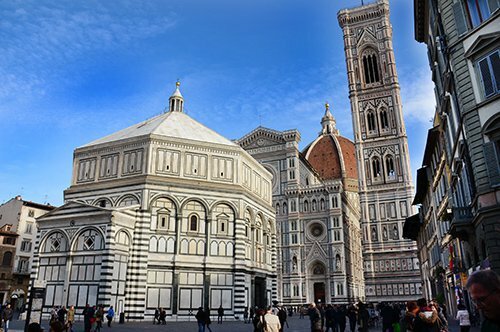 In this case, you can choose the date and time of your visit and also the itinerary to follow: you can visit only the Uffizi Gallery or include it in an itinerary that allows you to admire, along with your guide, other important places in Florence, such as the Bardini Museum and Casa Siviero, the Ferragamo Museum and much more. 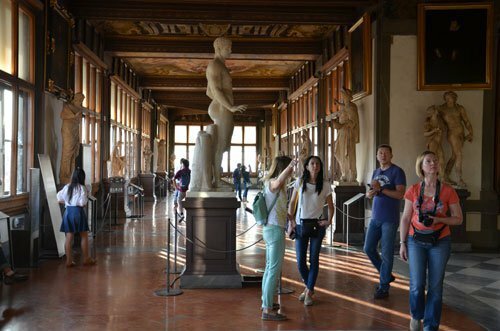 When you visit the Uffizi Gallery, you will find in the area other characteristic places of the city, organize your trip with the map of Florence. 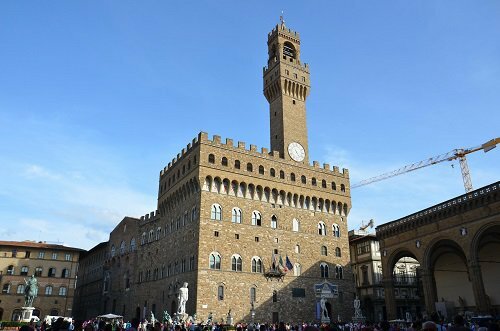 Visit the Signoria Square, home of the Palazzo Vecchio with its Hall of the Five Hundred (Salone dei Cinquecento) also mentioned in the novel Inferno by Dan Brown, not far from here you will find the splendor of the Piazza del Duomo where the Duomo of Florence is located with the Brunelleschi's Dome. 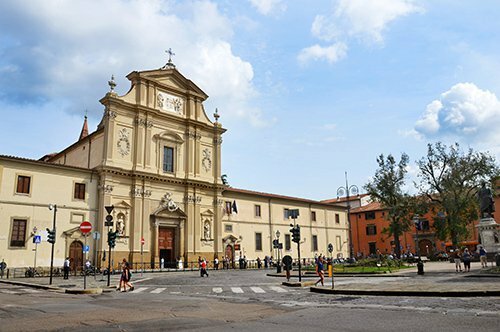 A few minutes from the Duomo you can visit the Accademia Gallery which houses Michelangelo's famous David statue, the San Marco Museum and the Archaeological Museum. 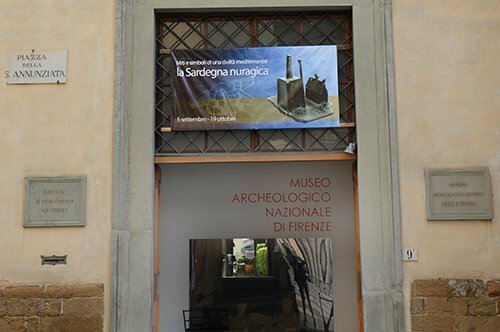 If you come to Florence to admire the work of Michelangelo, you can´t miss the Bargello Museum, the Casa Buonarroti and the Medici Chapels that house works by this great artist. 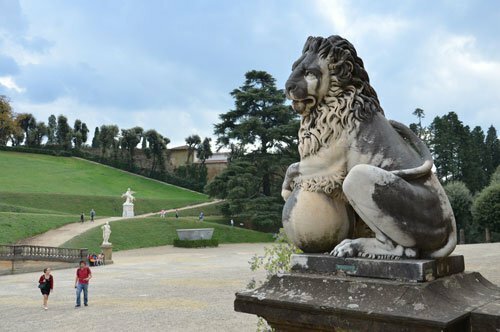 Starting with the Uffizi and following the Vasari Corridor, we find the Ponte Vecchio, the Boboli Gardens and the Palazzo Pitti, inside which you can visit the Palatine Gallery and the Modern Art Gallery. 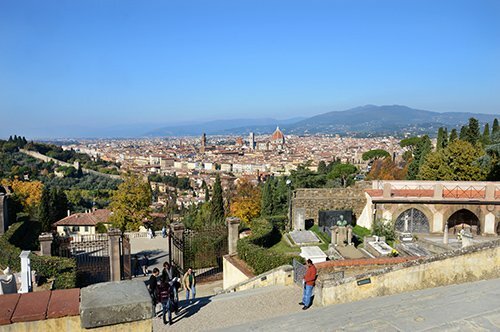 If you are interested in visiting a unique museum, include in your visit the Bardini Museum and take postcard photographs from Piazzale Michelangelo. 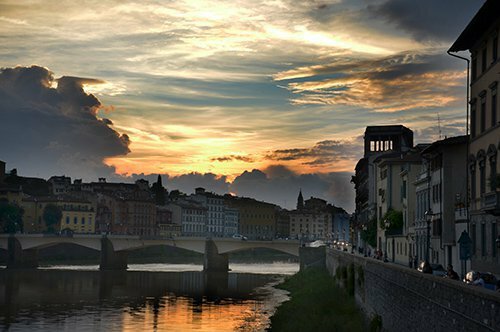 Visiting Tuscany is a unique experience and Florence can be the starting point for other places such as San Gimignano, Arezzo, Siena or the wonderful Leaning Tower of Pisa.